From a 5 piece band upwards, Kaiso's line up includes drums, bass guitar, guitar, vocals and steel pans. From a 5 piece band upwards, Kaiso’s line up includes drums, bass guitar, guitar, vocals and steel pans. Kaiso is a fully professional Caribbean show band. 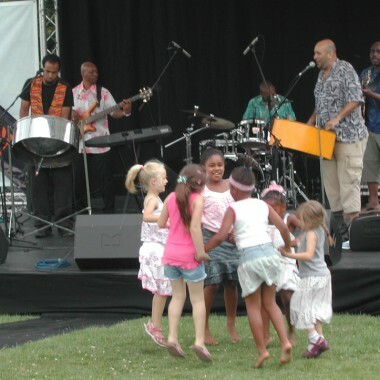 The individual musicians’ roots lead directly to the tropical islands of Barbados, Jamaica, Dominica, and principally, Trinidad, the home of the steel pan, arguably the most dynamic new instrument in world music. A little about the band’s instrumentation: the line-up has at its core a five piece outfit; drums, bass guitar, guitar, vocals, and of course steel pans, with several of the musicians ‘doubling up’ in either their playing or singing. Whilst experienced players in this field, the band members are generally in their early thirties and have both energy and versatility. 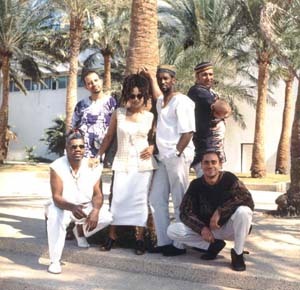 The band play excellent reggae and their knowledge of Latin music is extensive. Consequently a typical Kaiso set might include three Soca tunes, a traditional Calypso, a Merengue, a Zouk number and two Reggae selections. This is not a boring one-groove band! Though some of Kaiso’s music will be unrecognisable to the average member of a European audience, they play several familiar ‘covers’ of well known songs so that, whilst very authentic, they remain extremely accessible and highly danceable! 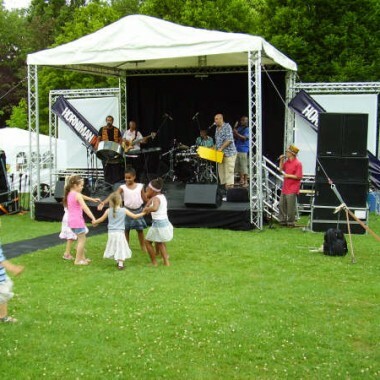 The band often plays dates as a larger unit and rehearses as such. Consequently, the additional percussionists, guitarist, keyboard players, vocalists and horn players they use are all familiar and eager draftees should your budget allow for them. Kaiso are guaranteed crowd pleasers.